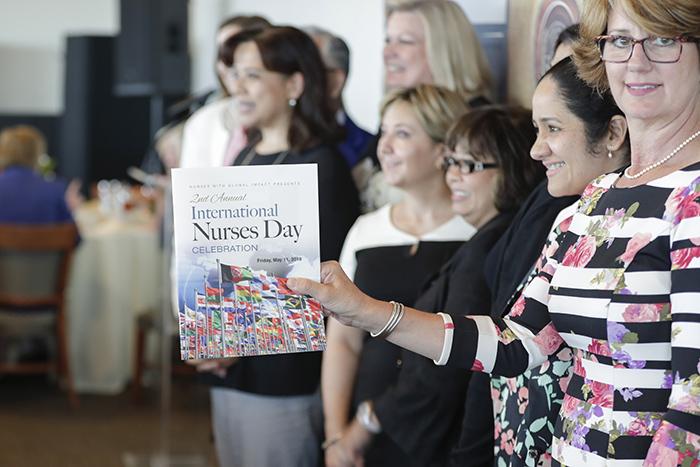 United Nations, New York, USA, May 11, 2018 – Second Annual International Nurses Day Seminar and Awards today at the UN Headquarters in New York City. International Nurses Day is an international day celebrated around the world on 12 May of each year, to mark the contributions nurses make to society. This event’s purpose is to recognize nurses who have done exemplary work in their respective fields and have had a strong impact on global health. Nurses Participating are from around the world—for instance, one nurse is coming from Syria where she is working in a refugee camp, two others are coming from the West Bank where they treat both Israeli and Palestinian women and babies without discrimination and still others work here in the US and their work has global effects. This year we will honor 21 nurses and Villanova University School of Nursing approved this event for all nurses to received continuing education credit with 2 contact hours awarded (hence the reason we are charging money to cover this cost.) Both corporate and non-profit entities have provided their support either monetarily or providing help & assistance gift-in-kind. It takes place to commemorate International Nurses Day which is May 12th, Florence Nightengale’s birthday, the founder of nursing.